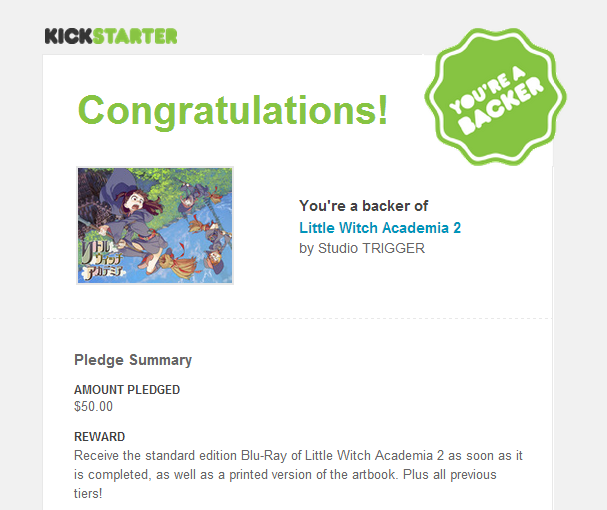 Watched Little Witch Academia by Studio TRIGGER on crunchyroll and absolutely loved it! It's short film (only 26 min!) but with great animation, simple story but incredibly fun from start to finish with great character (Sucy FTW! ), background, and monster design!! 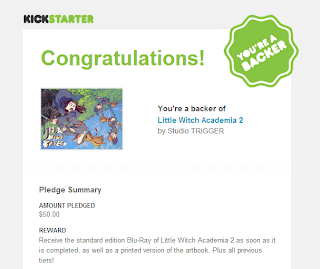 I remember hearing about Little Witch Academia 2 being on kickstarter from post Anime Expo 2013, after watching the first film I immediately donated $50! I would have given more but my checking account has been brutally raped these past few days ..need to leave it alone for few months...no...years to recover. Anywho, you can watch it free with English subtitle on crunchyroll.com ! Check it out!